I love relaxing in a hot jacuzzi, but I haven't always had the best luck when it comes to public hot tubs. 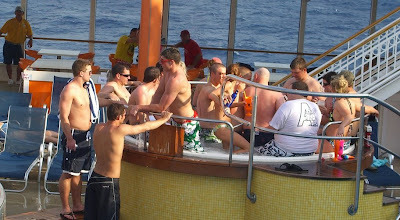 Years ago I went on a cruise and there were only a couple hot tubs on board. Towards the end of the cruise I ventured to the top of the ship to try them out. I was in need of some relaxation since I had been vigorously eating around the clock for 3 days. When I got to the jacuzzi I was surprised to find it completely empty. As I got closer it looked like every passenger on board had applied suntan lotion and then bathed in there to rinse it off. For some reason I was mesmerized by the shiny liquid and actually ended up putting my hand in. It felt like a vat of Wesson oil. I decided to forgo the heat therapy and went back to get more food. Recently I was feeling tired and stressed and my kids wanted to go to the local recreation center so I agreed to take them. I planned on relaxing in the jacuzzi while I waited for them. I got there and there were about 7 or 8 people in the jacuzzi but that wasn't a problem since it's huge and can accommodate about 15 people. As soon as I got in my eyes started burning because the chlorine was so strong. As I looked around they burned even more as I noticed a very out of shape older couple who were being surprisingly affectionate with each other. This was not your typical MTV Spring break Jacuzzi couple that comes to mind when you think of people making out in hot tubs. I don't have a problem with people being affectionate in public, but it was kind of disturbing and didn't help me relax. While I was sitting there trying to keep my eyes to myself I realized that the water was not very hot either, but I was still going to try to make the best of it. That's when I noticed an object moving around in all the foam and bubbles. It was dark and thin and was floating towards me. Finally I could see it was a gigantic mass of hairs that were floating in my direction. As it got closer I saw it was made of a variety of lengths and colors of hair that were all globbed together. My imagination went wild as I speculated where or who it had come from. It continued floating directly towards me and I wasn't going to touch it so I started to splash water towards it to push it away. While I was doing this I noticed the sign that said not to get in the pool if you had open sores. I looked around at the other bathers and just imagined all the open sores that could be oozing under the surface at that moment. My imagination got the best of me and I got out fast. I ended up being grateful that they used such potent chlorine levels in the pool. I'd like to clarify that I do not consider myself to be superior or better than anyone else. That should be obvious from the fact that I was going to a public pool. I'm sure the other bathers went home and blogged about the nervous pale guy that was splashing water around and then quickly jumped out of the pool for no reason. I've been thinking about brand names and marketing lately and think this will be a fun topic to discuss. I'm intrigued with the concept behind different brand names and the status they supposedly provide. Some names that come to mind are Gucci, Tommy Hilfiger, Versace, Mercedes, and Apple. I have been wondering lately how much difference there really is between an expensive brand name product and a similar generic or cheaper brand. Marketers and the media play a big role in creating the value for these products, and if you are going to keep up with the Jones' then you need to do it with the right brands. When I was a kid my parents would take me to Sears to get my school clothes. At an early age I realized that the rich kids had Izod Crocodiles on their shirts, others had the JC Penny Fox, I was at the bottom of the food chain with the Sears Braggin' Dragon brand shirt. I wonder if companies left their logos and tags on the inside of the clothes if anybody would know the difference between them. In High School I'd only wear Converse basketball shoes. They were endorsed by players like Dr. J, Larry Bird, and Magic Johnson. When Jordan came around Nike was the cool shoe. Today I'll take nearly any brand if they are on sale. I even find myself buying $12 generic sneakers at Walmart for just wearing around the house. I'm turning into my Dad. I know there is a difference in quality between brands, but I wonder how much difference there really is. I would obviously never run a marathon in generic $12 shoes, and if you've read my blog you know how I feel about buying the cheapest brand of answering machine. Is a Montblanc pen really 50 times nicer than a Parker pen? If you've looked into luxury watches you know that a Rolex is obviously worth more than a Timex due to the materials and craftsmanship that go into it but a Timex actually keeps better time. Accurate time keeping is obviously not the main concern of a Rolex consumer. The value is in the attention and status it gives the owner and what it represents. I'm not judging anyone here either, I'd love a James Bond Omega Seamaster watch. Even if it came without the laser and flamethrower options. I remember the first time I saw food in generic packaging. 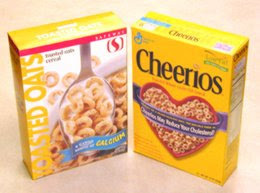 The Macaroni and Cheese boxes were stark black and white and were nearly half the price as the brand names. They were supposedly made in some of the same facilities as the ones in the nicer packaging. To this day my wife will only eat Kraft Macaroni and Cheese. She claims it is superior to any other brand. Would you rather have Chips a Hoy or Best Yet brand Chip-a-Riffic cookies? Are you a Lucky Charms person or are you okay with the Malt O Meal knock off called Marshmallow Mateys? A & W or Shasta root beer? It's obvious there are quality differences between some products. I'd like to get some feedback about which products you feel have very little difference and which brand names you think are well worth the extra money and why you would pay more for them. Let's hear what you have to say on this topic. Posture is playing hard to get when you really like someone. It's not answering the phone on the first ring even though you are anxious to speak to the person on the other line. Posture is telling someone you need to see if you can make time for an appointment when you know darn well you have an empty calendar. Some common marketing or business phrases you may expect to hear from someone who is trying to recruit you are "I can't guarantee you'd fit in with us" or "I'm not sure if you'd qualify", even though they'd love to have you. It's the idea of having someone come to you instead of chasing them around. One of my favorite movie scene is from Defending Your Life starring Albert Brooks. In this scene he has been rehearsing how he will hold out for the appropriate salary he wants for a new job he is interviewing for. I can so relate to this. The scene doesn't get to that actual part until 3:35. A few months ago I was at a store and I noticed that they were giving away women's college basketball tickets. Seeing the big stack of free tickets on the counter just killed their posture. It smelled of desperation. It screamed out "the arena will be empty except for you and whoever else is bored enough to actually attend this game". They should have displayed them in a locked glass case if they wanted to add value. Last year when I created my number combinations I started out by only asking $5 for them, but when there was no demand I increased the price to $49.95 and over the course of 4 months there has been absolutely no improvement. At least I know who's in charge. I've learned my lesson with posture over the years. I now know not to plead and beg for readers to leave comments. In fact I've considered creating a lengthy and difficult screening process for new followers since I only want the best. Just kidding, I'll take anyone. I just accidentally deleted today's post . That's not the first time I've done that either. Rather than try to remember and re-write it, I think I will take this opportunity to announce the winner of my Haiku Contest. It was very difficult to chose just one among so many quality entries. I have also tried to be careful since many of my followers are psychopaths and I'd hate to throw them into a fit of rage, but I can only have one winner. After careful analysis I've decided that the winner is Kelly. Her blog is We Don't Mean to Brag... She is an army mom and her husband just recently got back from Iraq. Congratulations and thanks to both of you for your sacrifices. Thanks to everyone else for your entries and for your regular comments. I've had problems with my cordless phones recently and only one of the two hand units was working so I finally threw them out and made a trip to Walmart and bought a new set. I know it's never a good idea to buy the cheapest model but the cost went from $34 up to $60 and above so I figured even a cheap phone would be better than the one I was so anxious to replace. Wrong. The new phones seemed to be working well until I listened to our first message that someone left on the base unit's answering machine. It sounded like an emergency transmissions from Star Trek the Next Generation when the receptions is horrible and all you can hear is "static...attacked...static....Klingons, we need help..... static transmission ends". Our answering machine is so bad that it makes the above mentioned scenario sound as clear as the THX sound demo you hear before a movie. I'm too lazy to take it back since I threw away the packing and didn't keep the receipt. I feel bad that I didn't splurge and buy the Fisher Price model that was the next step up. I don't want to bash any brand name so I'm not going to identify the manufacturer by name, but I did include a picture of the exact machine I look at each time I hear these indistinguishable noises. Seriously, all I hear is loud muffled noise that sounds like Charlie Brown's teacher talking. This has been very frustrating to me, but just today I realized that it could be a blessing in disguise. 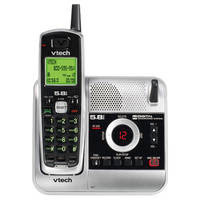 I can't remember the last time I listened to a message on an answering machine and it warmed my heart or made my day. Most messages deal with having to call someone back or an invitation to do something you're not excited about. I'm actually starting to enjoy the privacy and seclusion. I still listen to my messages but since I can't understand a word of them I just hit delete as soon as the muffled static starts. It has been very liberating. I guess out of courtesy I should change the message to say "sorry we missed your call, feel free to leave a message but we won't be returning your call since we won't be able to understand a word of it. Have a nice day." I guess if it's serious enough then the caller can come see me in person. I have always been jealous of people who understand scientific and technical stuff. That is definitely not my strength. There are many things I don't understand, like how the Internet works, but I don't really care as long as it is always there for me. I am to science what nerds are to sports and what Brittany Spears is to modesty. Some people have a dominant side of the brain they use. I'm definitely not a lefty. Those are people who are good at reasoning, logic, science, math, etc. I have always struggled with Geometry, Biology, Chemistry, and Algebra. I was going to say Calculus but I never made it anywhere near that far in math. I prefer the right side of the brain because there seems to be more gray area there (no pun intended). It doesn't deal with black and white and absolutes so I find it to be much more forgiving. If I was asked to solve a math equation I'd start thinking about words that rhyme with equation. My mind would wander as I thought about making a movie called Equation Quest.Who would I cast to star in the movie? Already I've used up as much mental energy as it would take to solve the problem but I'm not any closer to knowing the answer. No I have never been diagnosed with ADD. I'd prefer an essay question for a difficult math problem because I'd have a better chance of BS-ing my way through it. That has worked for me in the past except for the time when I wrote an essay about the book "How Green was my Valley" in High School. I had read the first several pages and that was it. I thought I had duped the teacher until after reading my paper she pointed out that it was good, but one of the main characters who I kept referring to as a man was actually a woman. I guess that blew my cover. It's not my fault that they had weird names. I love tech stuff and I'm glad there are smart people in the world to make life better for us, but I'm just not one of them. If you are an architect, statistician, chemist, computer programmer, or someone in one of the other "smart" disciplines, you have my respect. Whoever came up with the concept of the haiku was either lazy, or had a great sense of humor. For those of you who are not familiar with them, a haiku is a form of Japanese poetry that uses 3 lines. The first line has 5 syllables, the second has 7, and the last has 5. I think the ideal job would be making up haikus all day long. Here is an example. That meat is an enigma. I think I'll pass thanks. I imagine most of you have always wanted to enter a haiku contest but just couldn't afford the hefty down payment for your entry fee. Well I have some great news for you. I'm having a haiku contest and it's free! I've noticed that many blogs give stuff away as part of their contests, so as part of my efforts to get with the times I will be giving away a 2009 Hyundai Sonata to the winner. Not really, but that reminded me of another haiku. I will actually be giving away something even more valuable than material goods-recognition. 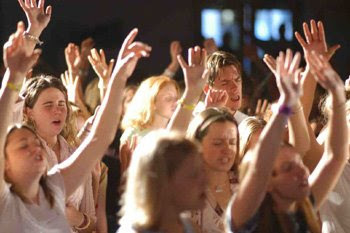 I will sing the winner praises and write about them on a future post. The rules are simple, just follow the standard formula explained above and reference the subject matter to any topic you have ever seen on my blog. This is not the kind of thing I would delegate to random selection software so I will personally be selecting the winner. The contest ends on Saturday so go ahead and post your 17 syllable comments before then. I was just reminiscing the other day about a near death experience I had as a teenager. When I was a senior in high school my friends called me on a Friday night and said they were going to a dance and invited me to come along. I told them I guess I would but I had a big basketball game the next day so I couldn't stay out too late. Several minutes later they came by and honked and I hopped in their old Suburban with the four of them. They missed the turn for the dance and kept driving. I pointed this out and they just smiled and said they decided to do something else instead. They drew my attention to a carton of eggs and a bucket of plums they had with them. I was furious because I knew they were planning on doing something stupid and I was the scaredy cat of the group. Back when I was in grade school some friends talked me into throwing snowballs at cars and that didn't turn out so well. I had never done anything like that since then. By the way, never throw a snowball at a Mustang. They kept driving until we got to Center street. This is where a certain crowd would hang out on the weekends. They'd cruise up and down the street showing off their cars, pickups, and, motorcycles. It was typically a tougher and less educated group that dragged the streets. This was their version of going to a dance. My friends loved making fun of these guys. It was kind of like the Greasers and the Socials, but Leif Garrett wasn't with us. We pulled into an ally behind Center street and backed the suburban up so they were able to climb on top of it and get up on the roofs of the buildings that overlooked the weekend cruising activities. They invited me to come. I wanted nothing to do with it so my response was "You guys are idiots. Let's go home." I sat by myself in the car for a very quiet and lonely ten minutes and then all of a sudden I heard feet jumping onto the roof of the suburban. The doors flung open and they were screaming like girls saying "Hurry! Go Go Go! As they were getting in the car one of them broke an egg on our windshield. They all scrambled in but then they started freaking out since they couldn't find the keys. After fumbling around for a few seconds, the driver finally found them and peeled across the parking lot running over the parking dividers as if they didn't exist. He pulled out onto the street and sped away. We drove a couple blocks and then I turned around and saw the scariest site I had seen in my entire life. There was a convoy of trucks, jeeps, and motorcycles chasing us. 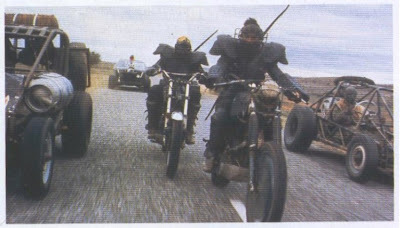 I'm not exaggerating when I say it looked like a scene from Mad Max. After two or three more blocks of pursuit, the car in front of us stopped at a red light and we were pinned in. Several vehicles pulled up along side of us and a guy with long hair jumped off his motorcycle and tried opening the door. Luckily we had just locked them before he got there. He kicked the door and was screaming that he was going to kill us. I thought I was going to die, but then the impossible happened. I saw light bulbs light up above two of my friend's heads. We were all cowering in the center of the suburban with the doors locked when my friends let loose with the foulest language I had ever heard them speak. They pointed to the windshield which had an egg smashed on the front of it and started yelling back "We are after the same blankety-blanks! Look what they did to our car! They were shaking with rage and were nearly in tears. I knew it was actually fear but it was very convincing. What happened next was even more miraculous. My friends said "Let's catch the *!#%! *s who did this! We'll go this way and you guys go straight." It was just like a Bugs Bunny cartoon. I was in total shock as we turned left and the entire procession of road warriors aka Yosemite Sam drove straight through the intersection in pursuit of the eggers. My life had been jeopardized by my friends but they had also saved it thanks to their quick thinking. It also helped to have a gullible adversary. I had them drop me off a block away from my house just in case we were being followed. I ran home and went straight to my room. I was shaking in my bed for hours before I could fall asleep. That's what friends are for. The first time I went to the chiropractor it was an interesting experience. I can't remember exactly why I went, but I think I was having some lower back pain. When I got to his office I noticed a table that looked similar to a massage table so I was looking forward to the treatment. He had me lie face down and he started palpating and adjusting my back. He worked his way up my spine and told me to hold still. Then all of a sudden he did the Rambo move that you see green berets do in movies when they sneak up on the enemy and snap their neck. It made a loud cracking noise and I couldn't believe what had just happened. I was even more surprised that I had survived his attack since I had seen this move done hundreds of times in the movies but had never seen anyone survive it. While I was still in shock and trying to figure out how I should feel about this, he said "Now just relax while I do the other side". Yeah sure I'm totally going to relax now that I know what's in store! Ever since then it has been stressful for me when a chiropractor is making adjustments on me neck. The other procedure I dislike is when they push down so hard on your back to get things into alignment. It's not that it hurts, I'm just embarrassed by the stupid noises that come out of my mouth as he forces the air out of my lungs. I feel like a human bagpipe when this happens but it doesn't sound nearly as cool. Chiropractors are an interesting bunch and their battle cry is often "subluxation is the root of all evil". I've been to many different chiropractors over the years and I have nothing against them. Like all professions, I'm sure there are good and bad ones. I 'm not trying to bash the profession, I'm just pointing out some of the things I don't like about my visits. I have however noticed that this is a profession that frequently introduces patients to other health practices that are often controversial. They are the gate keepers to the portals of alternative medicine. As much as I try to avoid controversy I really need to share my opinion on this topic. It's time that I address the topic of edible seeds of plants more commonly known as nuts. I'd like to start my analysis with my least favorite and work my way up to the best. Walnuts-The grunt workers in the nut kingdom are walnuts. They're ok in brownies but many people dislike the abrasive texture and feel as though they were stung in the mouth by a stingray after eating them. I also don't care for the fact that they look like tiny brains. Pinenuts-I'm not sure if these count as a real nut or not, but the strong association they have with people selling them out of their car on the side of the road causes me to place them at the lower end of the scale. They are also too soft and oily. Peanuts-They are a popular staple and seem to be the nut for the common man. There is nothing fancy about them. I'm not a big fan of plain peanuts, but I like them in Cracker Jacks or if they are covered in chocolate. Sometimes they get a bad rap from people who are allergic to them. Pecans- I was never a pecan fan until same one gave me a big bag of them for Christmas. After actually having them around and eating them for a while I think they are pretty good and will insert them here on the nut spectrum. Pistachios- They are not as common and therefore give some variety to the nut kingdom. I think these salty treats are great except for when you get an unusually strong and stubborn shell that mocks you and refuses to share its valuable contents that it's protecting. Almonds-We now evolve to a more superior nut which most people like. My sister used to bribe and reward me with Diamond smoked almonds as a little kid and I can still remember how good they tasted and smelled. Cashews- They triumphantly sit atop the nut pyramid as the perfect nut. They are superior in texture, flavor, and appearance. They are great in ice cream, Chinese food, salad, or anything else. Years ago I had shoulder surgery and came back from the hospital and took my Oxycontin and proceeded to watch a video while eating an entire bag of trail mix from Costco. I can't even remember what I watched, but it was the best movie I've ever seen. I just remember how warm and happy I felt as I cherry picked the M & M's, almonds, and cashews from the trail mix. Maybe the painkillers biased me a little bit, but you have to admit cashews are great. I'd be interested to know if anyone went 7 for 7 with me and agreed with my assessment. If not don't feel bad, we all make mistakes sometimes. Last month I noticed that in a matter of hours I had lost 4 followers from my blog. I was surprised by this since most of them were good friends. It ended up just being a blogger glitch, but at the time it was almost too much for my fragile ego to take since I have worked so hard to get the few, yet awesome followers I have. If you visit my blog more than a couple times a month then you are by definition following it. Most people don't realize that failing to honestly disclose when they are following a blog can cause their Internet connection to slow down. Others have reported painful and embarrassing medical conditions . It doesn't cost anything to follow and you don't even need to have your own blog. If you are embarrassed to admit you consistently read such tripe or are afraid of disclosing your true identity on the Internet then you can always use an anonymous identify. I speak with authority on that subject. So why don't more people follow? I have analytics software and I see the regular traffic from repeat visitors, so I know you are out there. Please don't interpret my efforts to get more followers as a needy or egotistical quest...even though it is. I just know you are already stopping by so you may as well stand up and be counted. I'm starting a campaign to see how fast I can get 100 followers. I really do think my followers are great and I intend to start writing about them and promoting them more often. Your comments are awesome and always make this blog more entertaining. Winter Camping "The Cold Version of Hell"
I earned my Eagle scout award as a teenager and I'm sure I could survive if I woke up naked in the middle of Siberia as long as I had a pocket knife. Despite having a dominant McGeyver gene, I have never been a big camping enthusiast. My philosophy is why revert back to more primitive and uncomfortable situations if we have already solved this problem? The irony about my belief is that I was recently asked to be a scout master for the boys in our community. I accepted but I made a promise to myself that I would never require my boys to do any stupid or embarrassing cheers. That's ok for cub scouts, but there comes a time when that is no longer appropriate behavior and I'm not going to demean 12 and 13 year olds. They are people too. I believe scouting teaches boys some important values skills and I agree with them all except for the cheers and the heavy emphasis on camping. The prior scoutmaster I was replacing had done an excellent job for many years. He was dedicated and took them on camp outs every month regardless of the weather. They already had camp outs planned for the winter months when I took over so I figured we'd go ahead and do them. It had been a while since I had been camping in the cold so I had forgotten what it was like, or possibly suppressed those memories in the deep recesses of my brain filed in the "suffering memories" compartment. First of all I was totally unprepared for the first camp out. 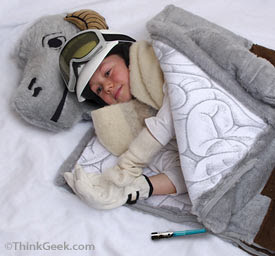 I knew I should have taken better gear than my boy's Anakin Skywalker sleeping bag but it was light weight and easy to pack. I think the temperature rating on that sleeping bag indicates that it is dangerous to use even at room temperature. Then there was the tossing and turning all night because I didn't take any padding. I woke up 15-20 times in the night just praying that the sun would be coming up any minute, but each time I'd check my watch only several minutes had elapsed. Once you get your feet cold you are doomed to suffer. I have since remembered that the key to enjoying yourself is being prepared with the proper equipment. Now that I think about it, I recall something about preparedeness being mentioned somewhere in the scouting program. I have quickly learned that to enjoy camping you need to be warm and have enough food. I am trying hard not to be a party pooper because I am working with some great boys and I don't want to spoil their fun or spirit of adventure since I'm such a home body. I've decided that I will enthusiastically go winter camping again next year...if all of our homes just happen to burn down and we have no better options. Nobody could be happier for Spring to be here than me. Addendum-Maui just sent me an awesome link in the comments section and I have to include a picture of the Tuantaun carcass sleeping bag he told me about. I wasn't lucky enough to have one of these or I'm sure I would have stayed warm. There have been many musicals over the years. Grease, Les Miserables, The King and I, Hairspray, Oklahoma, Mama Mia, Annie, The Sound of Music, etc. I know many people enjoy them but the main problem I have is that they are so fake. I know that may sound hypocritical coming from a guy who loves science fiction and action movies, but let me explain. 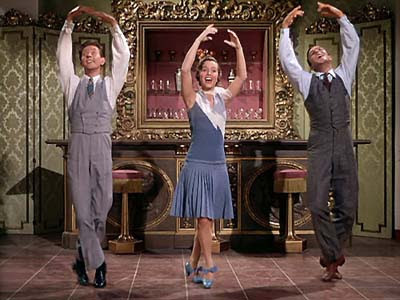 In a musical you might see a person eating at a diner having a conversation and then a magic word is mentioned which causes all the people around him who have never met before to break out in song and dance. The choreography is synchronized, everyone is singing their parts and things seem to be running on full cylinders. That's great for the musical but it doesn't work that way in real life. I used to have a job as a loan officer. One day I was working with a guy who needed a new auto loan. I ran the paperwork but he just didn't qualify. I always hated turning people down so I thought things would go better if I broke it to him as a musical. I excused myself and quickly worked on some lyrics and some simple dance steps. It took me a while to find words that rhyme with debt ratio but when I was finally done I came back in the office and started to sing a song called "Excessive Obligations". It was a lot harder doing it a capella than I had imagined. The applicant did not get up and dance with me or even know any lines to the song proving my theory that musicals are fake. I knew my performance was a mistake when he reached into his backpack and pulled out a gun. I couldn't believe my eyes. It was happening in slow motion and it felt like it a dream. He pointed it at me and told me to take him to the vault. He said he didn't want to use the gun but he was not afraid to. I could feel my heart pounding as I followed his instructions. He escorted me across the lobby towards the vault. It was at that moment that I remembered some moves from Newsies and West Side Story. I instinctively did a round house kick to his head and knocked him out until the police arrived. I don't usually write about stuff like this but since it's April Fools I guess that makes it okay. I admit that story was really stupid, but at least the part about being a loan officer was true. I still maintain my position that musicals are fake.